Beach Queens are stated as being 1/10 scale, which is a scale shinki actually line up as being children (or very short adults) in, at least as far as height goes. ...Shinki hips are fairly small in comparison, arent they? Do you have any taller Beach Queen figs? Tall BQs are pretty tall. I'll take some pics when I can. Aside from the "flying" pose, I think Kujikawa Rise may be the closest I have to a Shinki skinny-wise. I also have Touwa Erio, but she's not exacly in scale, specially her humongous head. I read from some Japan web that Busou Shinki beach queen won't be 1/1, but not sure is 5/6 or 6/5. The only thing mecha in this musume is her hair thingy. Eh. Cute girls aren't the only appeal of Shinkis to me, so this just feels so wrong. But her face is really cute. It would be cool if her limited edition came with her other ponytail as an option. Also her hair needs more pink shade on the tips, it's one of the things that I really like about in Arnval Mk2's design. Most probably won't buy her, even if she's a cutie. The others might be harder to resist, but a Shinki without joints is just not a Shinki to me. It's just a girl. I often look through Mandarake site to find some cheap shinkis. When anime had just strated, there were only 3 or 4 pages with not so rare shinkis at this site. My hobby friend explaned me that it is because of the growing interest after anime release. And now there are 13 pages with rather rare girls, lots of them. And I'm afraid, anime and merch interest is very low now. Why Konami does not see it? Nothing can help to rise interest and purchase amount but the release of new shinki. There are so many different anime figures nowdays that Beach Queens are just a drop in the sea. They a not interesting for shinki lovers, as they are just static, and after MMS shinki bodies they look just ordinary and dull. And there are a lot more beautiful girls in swimsuits from other anime. Kurihara wrote: I often look through Mandarake site to find some cheap shinkis. When anime had just strated, there were only 3 or 4 pages with not so rare shinkis at this site. My hobby friend explaned me that it is because of the growing interest after anime release. And now there are 13 pages with rather rare girls, lots of them. And I'm afraid, anime and merch interest is very low now. Why Konami does not see it? Nothing can help to rise interest and purchase amount but the release of new shinki. There are so many different anime figures nowdays that Beach Queens are just a drop in the sea. They a not interesting for shinki lovers, as they are just static, and after MMS shinki bodies they look just ordinary and dull. And there are a lot more beautiful girls in swimsuits from other anime. 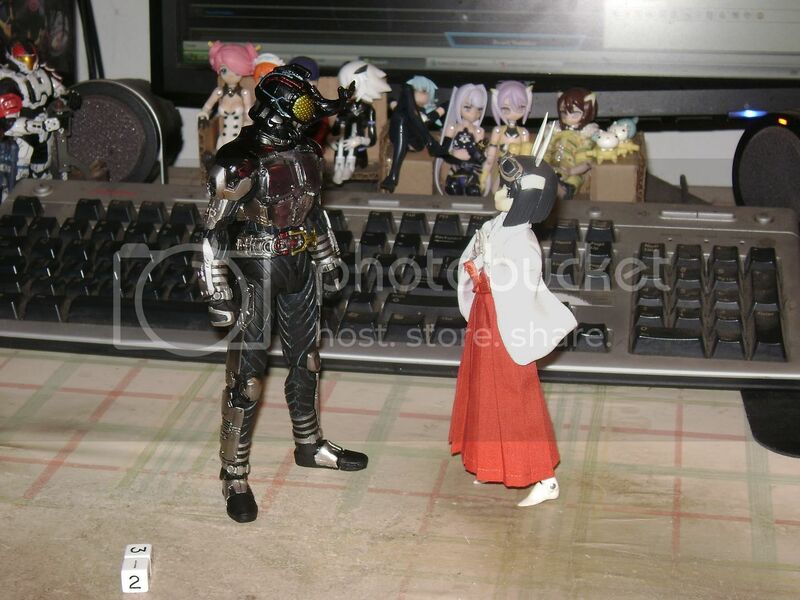 Yeah, it's like I said on TFW2005: The statue is nice, but you know what's nicer? Actual Shinkies.